Thanks to its geography, Ecuador is blessed with a diverse range of native ingredients. Because of its large coastal region, seafood is abundant. There's a mountainous strip in the middle of the country, where traditional Andean crops such as quinoa, corn, and different native varieties of potatoes are cultivated. The tropical region produces many kinds of fruit, such as pitaya and naranjilla. Potatoes, yuca, rice, beans, plantains, seafood, chicken, beef, and pork are all staples of the Ecuadorian diet. Aji, a spicy chile pepper hot sauce, seasons everything. 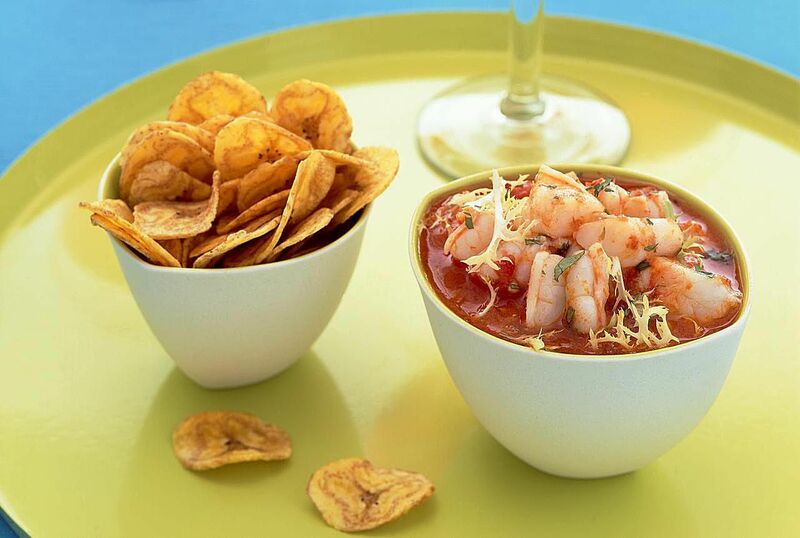 Ceviche is very traditional (shrimp is especially popular), as are soups and stews. Humitas, the local word for tamales, are probably the favorite Ecuadorian snack and street food because they are so portable. Dumplings and empanadas with different fillings–cheese, eggs, meat, or vegetables–tie for second place in popularity. Ecuadorian sandwiches are best represented by sanduche de chancho, which includes broiled pork leg, crunchy bread, pork juice, and red onion sauce. A lighter snack is a fresh broad bean salad, locally known as ensalada de habas. All types of bread exist in Ecuadorian cuisine, including some made with corn flour and naturally gluten-free yuca bread. But there are enough white flour breads, like the following recipes, for a wide range of options.